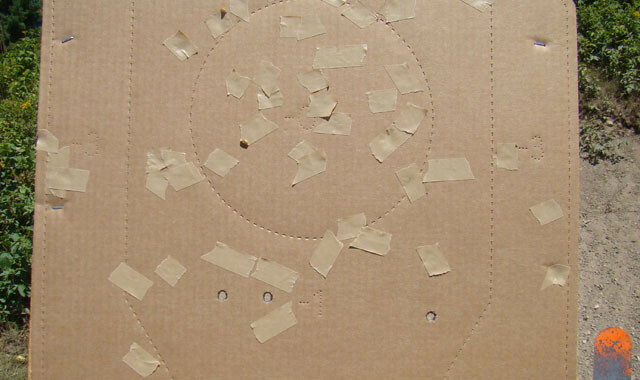 Competitors are required to shoot from a variety of positions. Wednesday practice drills improve speed and accuracy. 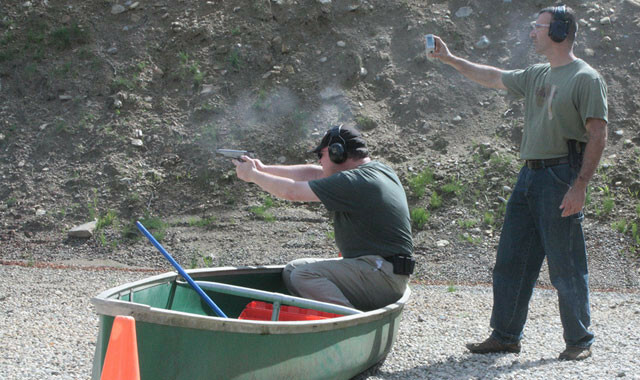 Creative scenarios are what make this type of action shooting especially fun. 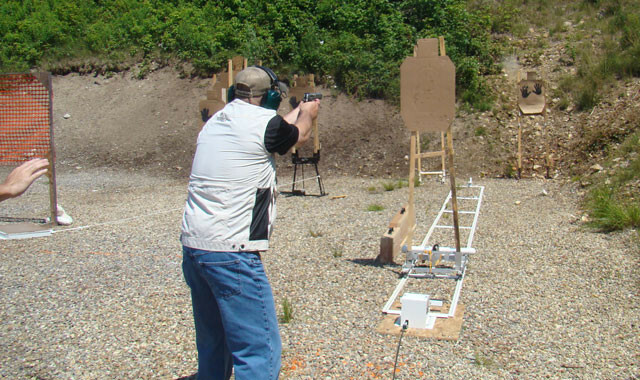 On this stage competitors were required to draw and shoot six times at a charging target within approximately three seconds. 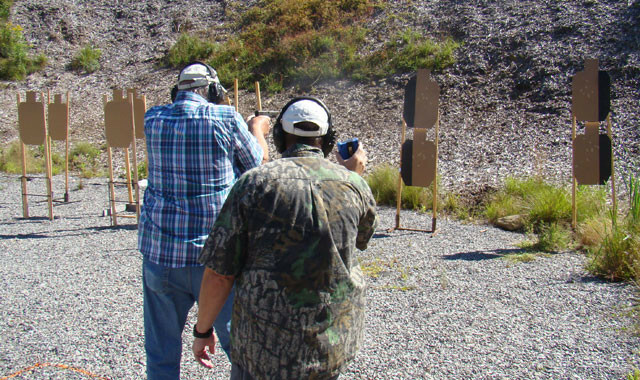 Action Pistol is the club’s way of introducing a variety of pistol competitions to the region. Matches and practices are held at CCF&G during the Spring, Summer and Fall. Matches are usually the third Saturday of each month and practices are on Wednesday evenings. The times may change depending upon further range development at the club. 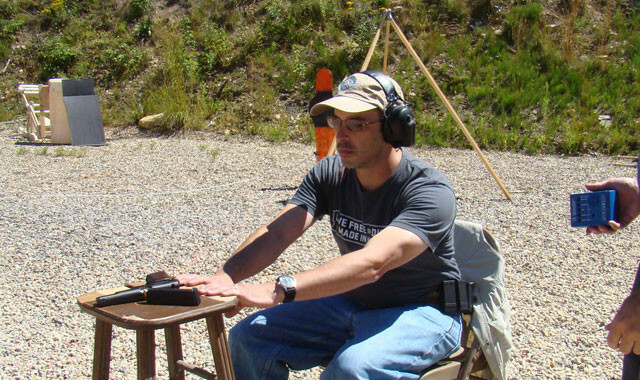 In short, the shoots are similar to IDAP, USPSA, Steel Challenge and 3-Gun-type events. See club calendar for specific dates and times. 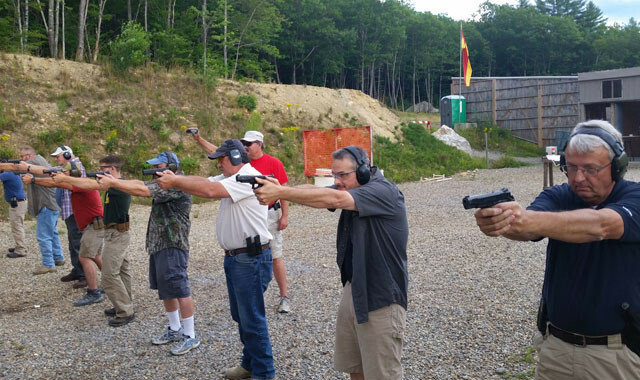 Participants not only develop skills which can help them defend themselves and protect others, they learn how to safely use handguns in a variety of situations under the close supervision of range safety officers. 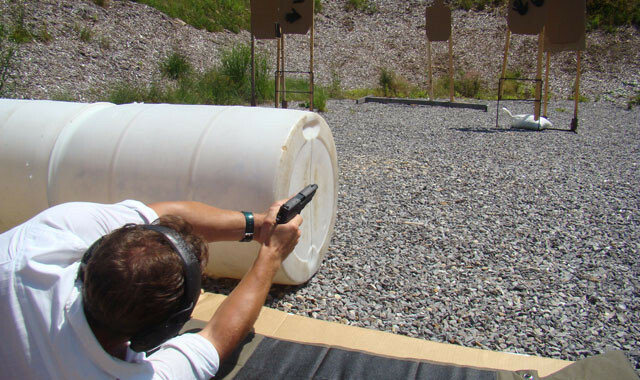 Action Pistol stresses weapon familiarity, target identification (“threats” vs. “non-threats”), rapid engagement of targets, accurate fire, quick reloads, and safe movement with a firearm. What ‘gear’ do you need? 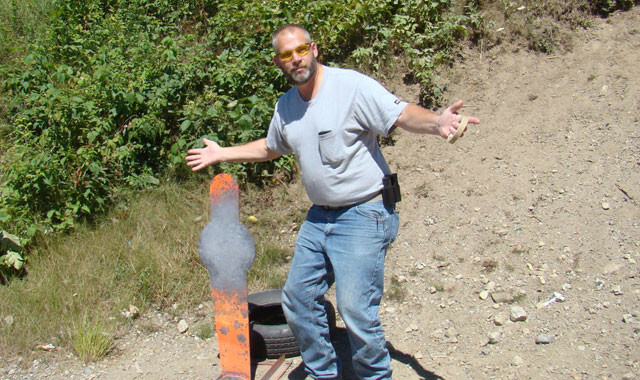 Just about any centerfire pistol is fine. You will also need three magazines (four speed loaders for a revolver), a way to carry two of the magazines (or three speed loaders), and a holster for the gun. (Please note that you cannot use a ‘behind-the-back,”drop leg,’ ‘race’ or shoulder holster. You MAY use an appendix carry holster with special permission.) You’ll also need a ‘cover garment’ to wear to conceal your firearm. A coat works, but in the summer months a vest is a better choice. Also, you’ll need to bring at least 100 rounds of ammo to shoot a typical match. Scroll to the bottom of the page for practice results.